In this treatise on the idealized enlightenment education of a child, Rousseau recommends only Robinson Crusoe as appropriate for children to read. While there is scholarly debate over the meaning that Rousseau meant to impart by including Crusoe, using the shipwrecked character as an exemplar for self-sufficient or socialized man, as it is widely agreed that Defoe’s novel significantly influenced the enlightenment thinker. 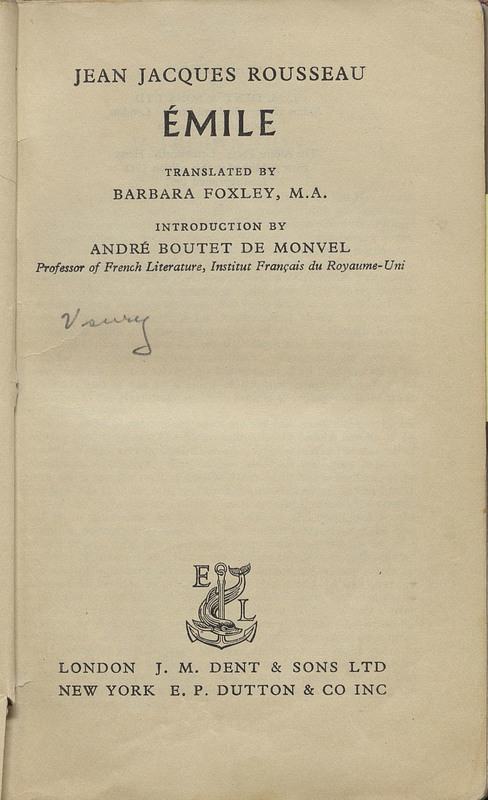 Published forty-five years after the introduction of Crusoe, Rousseau’s use of the novel demonstrates the longevity and international reach of the book’s popularity. Émile. London: J. M. Dent and Sons, Ltd., .